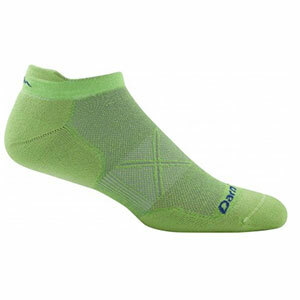 I don't know how Darn Tough does it, but I have put over 500 miles on a single pair of Vertex Running Socks, and they still look and feel great! It defies explanation. 500 MILES and no end in sight! I didn't need the second pair. Quick—Which of these two socks was run in once and which was run in 550 miles? It's a trick question. It's the same sock. The BOTTOM picture was taken on Christmas Day, after a three-mile run. The upper picture follows 550 miles of running over the last five months (including one full marathon and one half marathon). 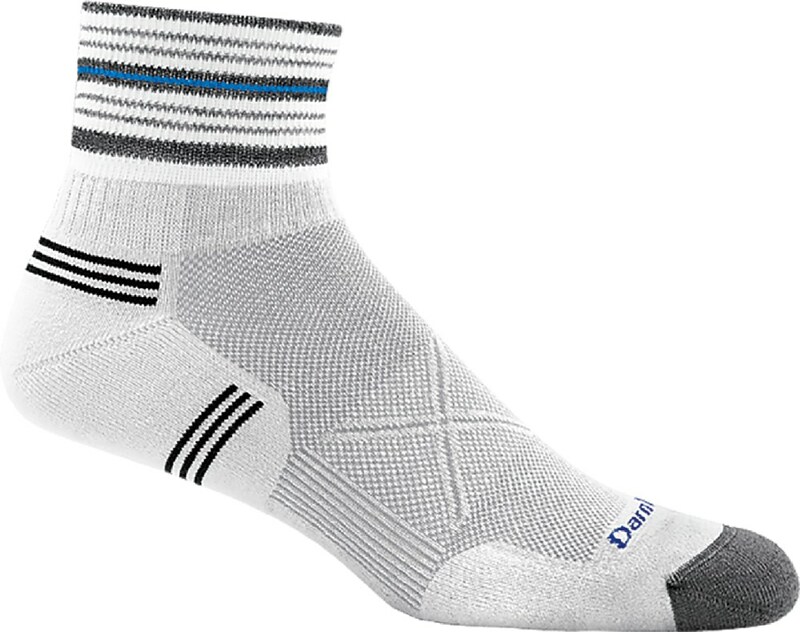 DT's reputation precedes them, and while I wanted to believe the hype, it just seemed highly suspicious that a single pair of socks can take the pounding of running 25-50 miles per week—in pouring rain, in snow, in cold, in heat. 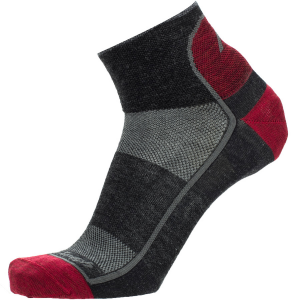 After 550 recorded miles (864,272 recorded steps) and 19 washes, the Vertex still hold their shape well. They are not stretched out. The padding continues to perform. 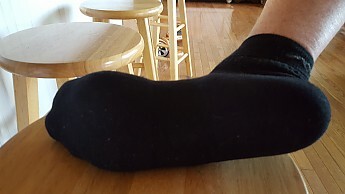 These socks continue to be more comfortable than the new pairs of socks that I use for cycling and work. Training for an April marathon, I ran through all kinds of weather. I ran in cold temperatures, and my feet stayed warm (I added liner socks below 20°F.). I ran in temperatures in the 70s (which is really hot for running), and my feet stayed dry and comfortable. Since Christmas I have run 4-6 days per week and have only had time to wash my socks on Mondays. But honestly, the socks have had no noticeable odor week after week. They have simply been washed with the other laundry because it is my rest day. What wear? Seriously! I have trained for three marathons. For the first two I knew I was going to go through 3-4 pairs of running socks. That's to be expected, right? After all, a pair of running shoes has to be retired around 400 miles. Look at this picture of a pair of running shoes, retired after 359 miles. 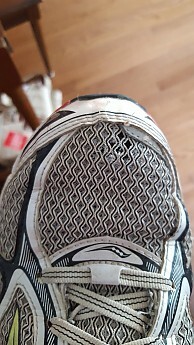 Note, the wear in the toe box, where my big toe hits the end of the shoe. 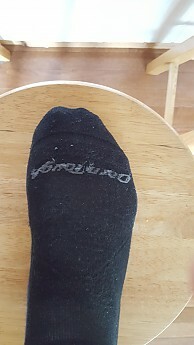 That's the first place I expect to find a hole in a pair of running socks, usually before I hit 100 miles (and often less). 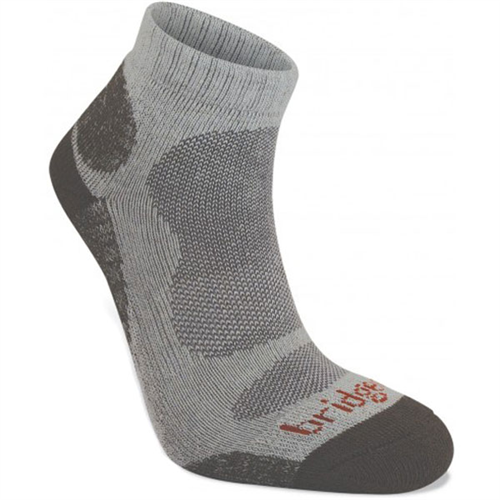 Now, look at the big toe on the Vertex socks after 550 miles. No wear—and that's not just because the camera doesn't pick it up. Really, there is no wear I can see. Here's the thing. 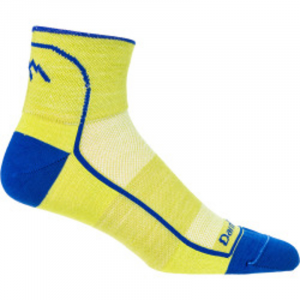 If Darn Tough only guaranteed these socks for the first 500 miles or one year, I would still say they are an incredibly great deal. But they guarantee them for life. I am confident these socks will last me through my 1,000-mile running goal for 2017. But maybe I'll get even more out of them. 2,000? 5,000? 10,000? The point is, when they finally do crap out, Darn Tough will replace them. How do they expect to make money on socks that never need replacing? I guess they are hoping people lose a sock in the laundry???? 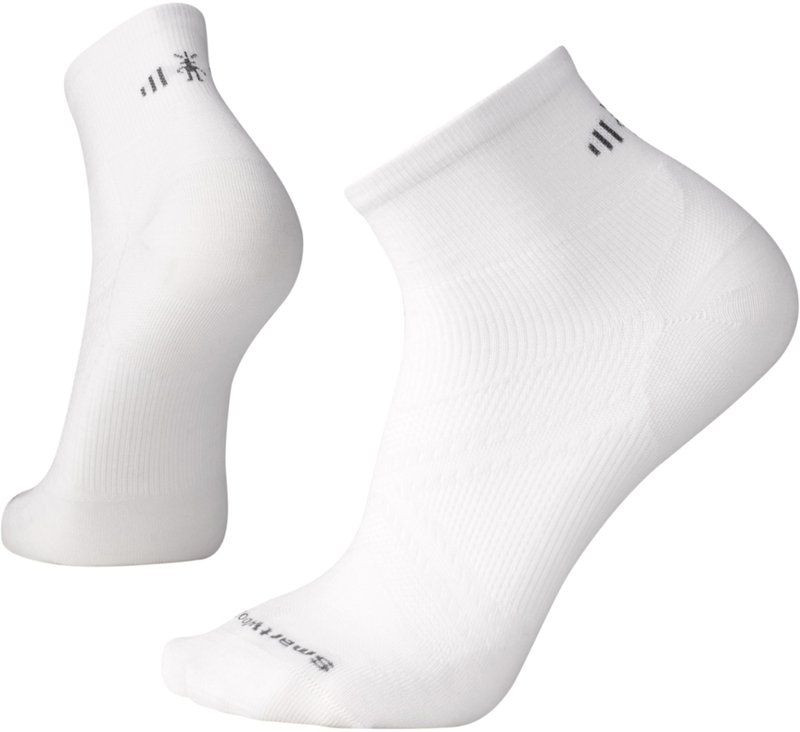 When my hiking socks give up the ghost, I plan to start using the unopened pair for backpacking. 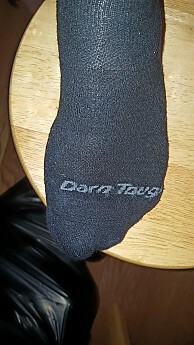 Darn Tough has proved to me its socks are indestructible. Wow, G00SE, over 500 miles! That is a serious pair of socks. 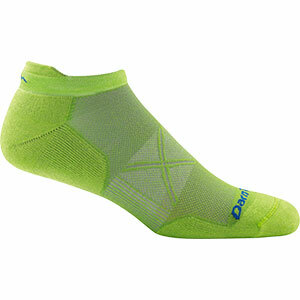 I have several pairs of Darn Toughs and I absolutely love them. 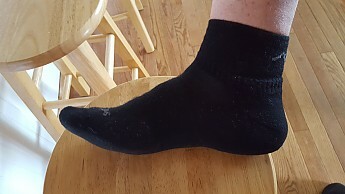 I have no idea how many miles I have put each sock through, but they have been my favorite hiking socks so far because of their durability and comfort. Great review GOOSE, I give them as Christmas presents and had many compliments; zero complaints. Hi Goose, I just got a replacement pair of Darn Toughs. I found a hole in the ball of my sock after 5 years. Quick return as well. Great service to complement great socks. Thanks for the review, Goose. 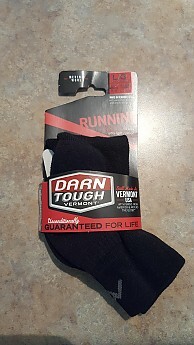 Darn Tough does make darn good socks.